Posted by Tantumblogo in awesomeness, Basics, firearms, General Catholic, Revolution, Society, technology, Victory. No real comment here, just one of the best speeches on the matter of “gun control” I’ve ever heard. Virginia Delegate Nick Freitas effectively destroys all the Left’s main talking points to try to disarm the populace, and also gores a great number of their other sacred cows (like their attacks on the family, the correlation of fatherless young men and these kinds of insane attacks, etc). It’s about as good a 7 minute speech on the topic as I’ve ever heard. Enjoy and have a blessed weekend! Posted by Tantumblogo in Admin, blogfoolery, firearms, Four Last Things, sadness, suicide. Jeff Dunnam was a coworker of mine for the past 2 years at Commscope. The first 7-8 months I didn’t get to know him as he was on leave recovering from cancer. Then he went out again for cancer treatment over the past 2 months or so. But in between, I got to know Jeff quite well. Jeff was not Catholic but was a believing Christian. He was in many respects a good guy. We had many conversations when he drug me out to have a smoke in the afternoon heat. He grew up in Collin County, like me, and we used to talk about the sounds and smells of summer – the Bois D’Arc trees and rotting horseapples, the smell of ragweed 10 feet tall, the katydids and locusts buzzing all day, the things we’d get up to as kids, before Collin County got built up and paved over. I enjoyed the time I spent with him. Even though he had been suffering from cancer, he died suddenly and unexpectedly this past Saturday Feb 3. Amazingly, another coworker of mine ran into Jeff buying a handgun earlier that same day, and reported he looked agitated and distracted but physically well. Obviously there is much cause for prayer. The visitation/memorial is tonight, the funeral and burial tomorrow at 2pm. Both are in Allen, near Jeff’s hometown of McKinney. Location at the link. Yes these are of course protestant services. REQUIEM aeternam dona ei, Domine, et lux perpetua luceat ei. Requiescat in pace. Amen Fidelium animae, per misericordiam Dei, requiescant in pace. Amen. Posted by Tantumblogo in asshatery, disaster, firearms, horror, paganism, secularism, sickness, Society, unadulterated evil. Certainly all readers are already aware of the atrocity that occurred in Las Vegas Sunday night, when a crazed gunman (or was it more than one?) killed 60 people and injured over 500. Firing from a room on the 32nd floor of the Mandalay Bay hotel casino into a crowded outdoor concert venue, he allegedly fired several thousand rounds at ranges varying from about 450 to 800+ yards. He was apparently outfitted with an amazing collection of firearms and accessories, including top of the line sights, scopes, bipods, magazines, and firearms. There have been reports that his 30+ firearms have a retail value in excess of $100,000. There are also reports of dry runs and possible coordination with another shooter who is as yet unknown (this is unconfirmed). This was no sudden psychotic break. The man had checked into his hotel room four days prior to the attack, and may have been there before that (see video below). This was a carefully planned and orchestrated attacks. Such attacks have, historically, been perpetrated for two primary reasons – a poor pathetic failed and mentally disturbed individual, invariably a young man in his teens to early 30s, seeks notoriety and “fame” by staging a horrible attack. The other typical motivation is ideology, either political or religious. The fact that no motive has yet been found nearly 5 days after that attack is exceedingly unusual. In fact, it is the only recent mass shooting in which the motive was not known almost instantly. This smells odd to me, and I agree with the video below that the evidence points to a man who became possessed either of leftist or muslim ideology, or both. That is to say, the motive may well be known, or suspected, but is being covered up because it is politically inconvenient. It could even have been a far more “successful,” in terms of demonic intent, copy of the attack on Republican congressman that occurred earlier this year and gravely wounded Congressman Steve Scalise. I don’t want to go too far into speculation because we in the public really don’t know, but I have strong suspicions that investigating agencies know, or have a strong suspicion, what motivated this attack. Whether they let us plebes who foot the bill for all their agencies ever know it is an entirely different thing. It seems that bumpfire stocks can work quite well to mimic automatic weapons fire. That is what we are told the man used to rain down torrents of fire on the crowd of what a leftist might perceive as dumb redneck rethuglicans. Video evidence makes clear that the firearms were pumping out rounds at a rate much faster than even the quickest semi-auto trigger puller could manage. Even the NRA is ostensibly pushing for the ATF to review their previous finding that these stocks break no known firearms law (whether this is actually an attempt to clear them again is up for debate). I’m afraid these kinds of attacks, whether made with guns, trucks, bombs, knives, or machetes are going to be an increasingly regular factor in our daily lives. Islam is the primary reason for that, but a strong secondary reason is the increasingly extreme ideological polarization in our country and the increasing disconnection people feel for one another inside their electronic safe space boxes. It is increasingly easy, in a world of Facebook and Twitter, for people to view the ideological “other” as very much less than human. This is a temptation we as Catholics must be cognizant of, though I am quite confident no one here would ever fall to such extremes in thought or action. But the biggest reason attacks like this occur, and will proliferate, is the steady decrease in the belief and practice of the Christian Faith among tens of millions of Americans (and others in the West). Practical atheism/agnosticism doesn’t bring an enlightened society and polity based on reason and rational thought, it brings a hellish and unending barbarism. This is a point Dr. Jordan Peterson makes to atheists all the time, that they fantasize that a godless world will be one free of superstition and full of beauty and light. The reality is far darker, as black as the most wretched depths of our fallen souls. Anyway, I suspect there will be some annoying and wholly ineffective gun regulations come out of this, even with (or maybe especially because of ) Republicans totally in control of the executive and legislative branches. 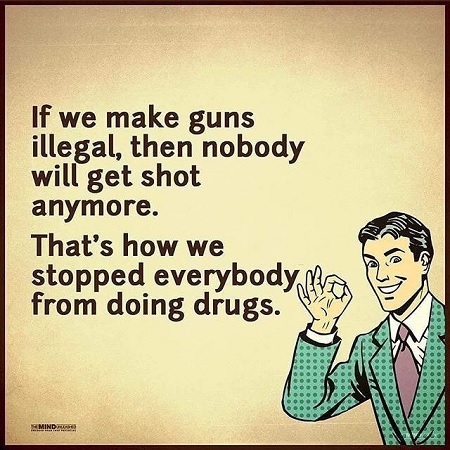 Because prohibition in other areas has always worked so well. If ever desired to have a bumpfire stock, it might be too late. Most manufacturers have so much demand and are so behind they are no longer taking orders. I’m sure you’re praying for the many victims of this horrid nightmare, as I have been. So many souls who faced death after a likely night of debauchery with no time and little opportunity for expression of contrition. That’s the biggest tragedy of all. May God have mercy on them, on the perpetrator, and on our increasingly sick nation. So what do you make of all this? Posted by Tantumblogo in Admin, firearms, fun, non squitur, silliness. Multi-shot Level IV steel body armor. Two plates plus sides. Yikes is it heavy. 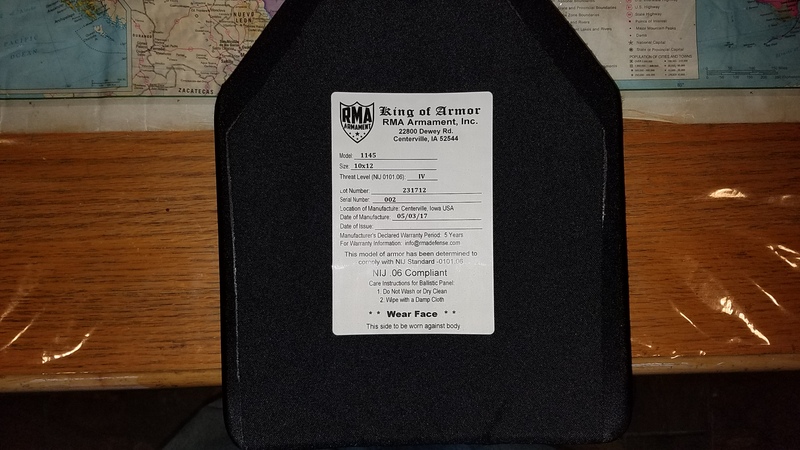 My plate carrier now weighs 32 pounds loaded, and that’s without magazines (it’s more than a carrier, more like a tactical vest/carrier combo). So now my kids like to put it on and engage in punching contests. I don’t know if I ever mentioned this in a post, but when I went to Kansas this summer I took some soft body armor along to target shoot. It was all Level IIIA stuff, soft kevlar. Nonetheless, I was impressed with how well it faired. I had several pieces stop anywhere from 5-10 9mm rounds from about 25 feet. I had one stop seven 9 mm and about 15 .22LR rounds. It puffed up like mad but it did very well against the kinds of rounds it was designed to stop – handgun caliber. I was surprised that this soft-armor was capable of stopping multiple rounds so long as they didn’t hit too close together (within maybe 2″ of a previous hit). I also took some video of bottle shooting and what not but the end result was not so great. So much for relying on a giddy 13 year old cameragirl. Posted by Tantumblogo in fightback, firearms, horror, non squitur, secularism, sickness, Society, Victory. Harris County is the Houston area for those unfamiliar with the locations of the state’s 254 counties. It takes enormous moral courage and more than a little skill with a gun to confront two armed men and actually hit one of them, when the adrenaline is pumping sky high and one’s life is literally at stake. Good on her. Posted by Tantumblogo in asshatery, disaster, error, firearms, foolishness, horror, non squitur, rank stupidity, sadness, sickness, Society, Victory. A bit non sequitur for the blog, but regular readers know I am into firearms (though in a minor way, compared to some of you), home defense, a little bit of disaster preparedness, and similar topics. An Oklahoma man faced the nightmare of having his home invaded by hooded, armed, mask-wearing men one day. He was armed with an AR-15 and defended his home. The three criminals, who were apparently teenagers and probably relative newcomers to violent crime, were all killed. Their getaway driver and the apparent mastermind of the crime was later caught and has already publicly admitted to being involved. A 23-year-old Broken Arrow (OK) man who used his AR-15 to kill three masked home invaders with one shot each last week will not face any charges after authorities announced that the shooting was an act of self defense under Oklahoma’s version of castle doctrine. The Wagoner County Sheriff’s Office and the District Attorney’s Office provided an update into the investigation of last week’s home invasion that left three teens dead in Broken Arrow on Monday at a press conference. The triple homicide took place on the 9100 block of South Clearview Drive March 27.Wagoner County deputies said at about 12:30 p.m., three masked intruders entered the home, which was occupied by a father and his 23-year-old son, Zach Peters. Deputies said Peters shot and killed the three intruders with an AR-15. Peters will not face charges in connection with the shooting, officials said. The Wagoner County District Attorney’s Office ruled that Peters acted justifiably in his use of deadly force to defend the home. Incredibly, the media is still attempting to claim Oklahoma’s implementation of stand your ground law is how Peters is avoiding prosecution for the deaths of the three suspects. Elizabeth Rodriguez, the ringleader of the gang of burglary suspects and the getaway driver who left her three accomplices behind after shots were fired, was formally charged with three counts of first-degree murder and several counts of first and second-degree burglary. Rodriguez, who seems to be as intelligent as your average storm drain, confessed to the burglaries in a television interview last week, which should all but assure her conviction for the burglary charges, and since the murder charges are hinged upon the felony murder rule, a conviction on all three murder counts as well. Oklahoma allows the execution of convicted first-degree murderers, but prosecutors have not yet announced whether they will seek the death penalty. Despite being reviled by gun control supporters, AR-15s are excellent home defense weapons, featuring low-recoil, good ammunition capacity, and excellent self-defense performance from standard 55-grain FMJ M193 “ball” ammunition originally designed for the M16A1 assault rifle, but which is now also the cheapest bulk practice ammunition in .223 Remington and 5.56 NATO variants. The three teenaged burglars killed in the home invasion were each struck just once. The perpetrator’s families are lashing out at the young man who defended his home, claiming using an AR-15 against a knife was an “unfair fight.” As if that matters in the slightest. I understand the families are surely upset, though one does wonder who teen boys came to a life of violent crime, and are desperately trying to rationalize the death of their children, but blaming the victim in this horrific situation is hardly going to win them much sympathy. It is, however, perhaps an indicator of the kind of self-serving and self-deluding thinking that afflicts so many people today. The remaining living perpetrator will almost certainly be convicted on three charges of first degree murder, to which she has already clumsily admitted being involved in a TV interview. She may well face the death penalty, but she, too, blamed the victim for shooting her homeboys when they invaded his house and refused to leave after being confronted by an armed man. Some Darwin Award winners in this bunch. I have pity for them all, but especially the young man who defended his home and will now have to live with the memory of this nightmarish event and the deaths he caused for the rest of his life. That is no easy burden to bear, and perhaps the families of those quite rightfully killed should keep that in mind. Posted by Tantumblogo in awesomeness, Basics, firearms, fun, It's all about the $$$, manhood, Society, true leadership. A final quick post for the day, someone leaked a propositional memorandum from a senior ATF official, who advocated – somewhat shockingly – for the roll back of several onerous gun regulations, including ending the ban on the import of so-called assault weapons (imposed by the first Bush, showing yet again how perennially left this family leans) and lifting restrictions on acquiring and owning silencers. The second-highest-ranking official at the Bureau of Alcohol, Tobacco, Firearms and Explosives has written a proposal to reduce gun regulations, including examining a possible end to the ban on importing assault weapons into the United States. “Restriction on imports serves questionable public safety interests, as these rifles are already generally legally available for manufacture and ownership in the United States,” Turk wrote of the ban on imported AR-15s and AK-style weapons. “This white paper offers a disturbing series of giveaways to the gun industry that would weaken regulatory oversight of the gun industry without adequate consideration of the impact on public safety,” said Chelsea Parsons, vice president of guns and crime policy at the Center for American Progress, a liberal think tank. I don’t know anything else about this Ronald Turk in question, but what he proposes is wholly sensible and well suited to the preferences of a large number of Americans. Americans repeatedly demonstrated their hostility to the gun-banning attempts of the previous regime. 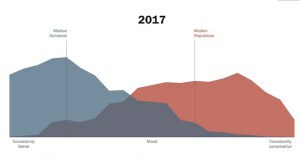 They demonstrated their desire for a return to the rightful interpretation of the 2nd Amendment through the election of Trump, among many other things. Moving to loosen restrictions like this is exactly what a civil servant should be doing, trying to implement the expressed will of the people. But the entrenched elites, including the very lucrative NGO issue-advocacy industry, do not like that. That represents only a tiny portion of the resistance Trump, for all his warts, is running into. Hopefully he can overcome this and implement at least some of his reforms. At the very least, Hillary Clinton will never be president, and that’s an awesome thing in and of itself.